We care about the properties we list to bring you the best experience. 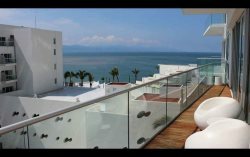 At Vistalegre Property Rentals - Puerto Vallarta, we ensure all our Puerto Vallarta property rentals have been inspected, maintained, and thoroughly cleaned for your satisfaction. Should you require furnished or unfurnished property, special parking, handicapped accessibility or a gated community, we can help. Vistalegre Property Rentals - Puerto Vallarta also offers assistance with internet, television, and utility services, as well as cleaning and maintenance referrals. If a challenge arises in your new home, we are just a phone call away.